Greenmarket Turns 40: What's in store for the next 40 years? On Wednesday, March 23, Greenmarket Director Michael Hurwitz presented at a New York City Food Policy Center discussion on GrowNYC's Greenmarket program celebrating its 40th Anniversary. 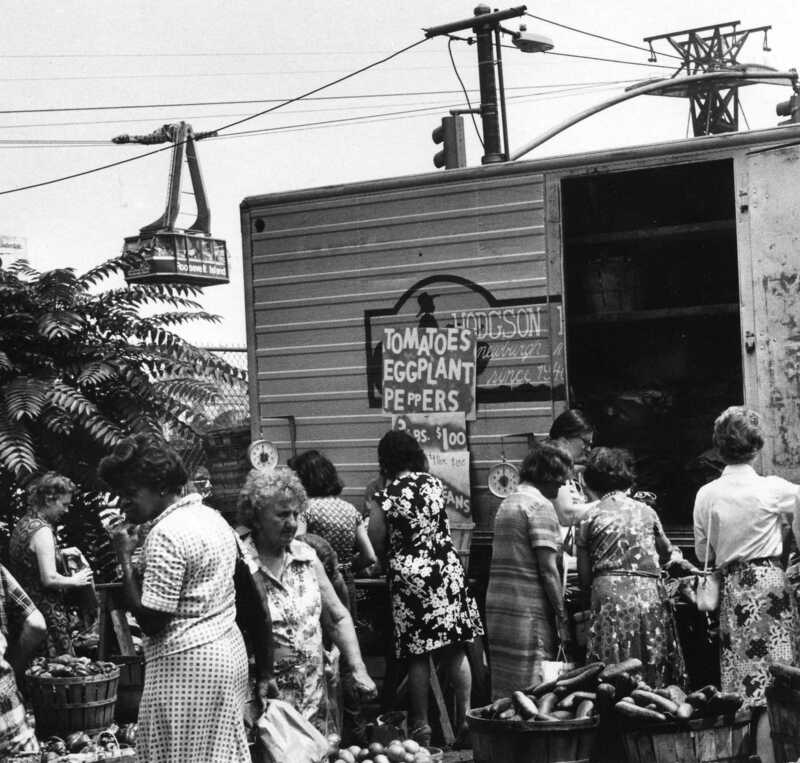 What began with 12 farmers July 16, 1976, in a parking lot on 59th Street has grown to over 200 farmers/producers in over 50+ Greenmarkets throughout New York City. Here is the transcript from that presentation. Some New Yorkers, but not most we find, know that Greenmarket is part of a larger non-profit, GrowNYC, founded 46 years ago by Mayor Lindsay and Marian Heiskell, in order to provide New Yorkers with the skills and opportunities to positively impact the environment and their communities. 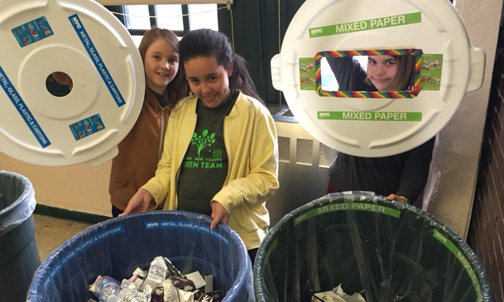 I’m very proud to be part of an organization where our recycling brethren at the Zero Waste Programs funded by NYC Department of Sanitation collected over 6 million lbs of food scraps at our markets over the last 4 years. Where the Grow to Learn program is helping to build a school garden on or near every public school in NYC, offering micro-grants and technical assistance. Where over 5,600 youth will visit the farm on Governors Island operated by our Open Space Greening program and learn about their connection to food and community. We do this work in partnership with hundreds of community groups, the NYC Parks Department, Department of Transportation, Department of Sanitation, City Council, Mayor's Office, the Governor's Office, Ag & Markets - the list goes on. And our programs touch millions of New Yorkers lives each year. Greenmarket is about to enter our 40th season, celebrating our birthday on July 16. What began with 12 farmers in a lot on 59th street and 2nd Avenue, has grown to 54 market locations throughout the 5 boroughs, over 2500 days annually, and works with 204 Producers from 250 miles to the north, 170 miles east and west, and 120 miles to the south. Despite our incredible successes over the past 40 years, the challenges that led to our creation still exist today and the need to connect the food dollar to farmers remains as important as ever. We continue to lose farmland at alarming rates in our region and we know that many New Yorkers still have little or no access to regionally grown food. Most people when they think about Greenmarket think only about our retail markets. They may not know that we operate the largest food access at farmers’ market program in the country through our Healthy Exchange Program, or that we serve over 6,000 youth annually, including offering a 10 part standards-based curriculum developed in partnership with Columbia University's Teachers College to 600 5th graders in their schools. Our Beginning Farmer Program, formerly the New Farmer Development Program, just graduated its 15th year of new and beginning farmers. Of the 11 graduates, 9 will be working on a farm this season. In 2015 the team arranged 17 season-long on farm mentorships and helped start 7 new farms, including one that while only being a ¼ acre is selling directly to 3 restaurants. In the last 4 years of training, over 80 percent of our graduates have come from traditionally socially disadvantaged communities, of which over 60% are women. This statistic is crucial in our achieving our mission, for we are uniquely positioned to place our graduates in thriving markets. Therefore we are able to support these new businesses while ensuring the diversity of communities in which we are located have access to culturally traditional foods and can purchase from farmers with shared or common histories. Fifty percent of the farmers that sell at Greenmarket have done so for less than 12 years, and we have an incredible group of growers that truly are our future. And for those growers we also offer a zero interest loan through Kiva Zip where we put in the first 30% of any loan up to $10,000. The first 4 loans were funded within 5 days and donors from 4 continents. That said, 40% of our farmers will retire in the next 15 years and of those, 40% have no identified successor. To address this, 5 years ago we expanded our NFDP and created FARMroots, which offers business and succession planning support and works to bridge our aspiring and retiring farmers. FARMroots also provides ongoing technical and marketing support for any grower in our program, and we offer a 25/75 percent cost sharing mechanism for outside consultants supporting our farmers legal and business needs. FARMroots also helps our grower community navigate the systems in which they interact, from advising on FSMA, assisting with grant writing and other income opportunities, creating market channel assessments, and in times of crises, such as post storm or in the event of crop failure, identifying and securing resources to support the impacted farms. Recognizing that direct farm sales account for 2% of food purchases on the best day, and that farmers’ markets are just one of many models to address farmer decline and food access, in 2012 we celebrated the birth of Greenmarket Co., our wholesale distribution arm. Now housed in a 5000’ warehouse on Cassanova Street in Hunts Point, Co. is the confluence of the wholesale farmers market, our Youthmarket and food box programs, and distributes over 2 million pounds of food annually throughout the 5 boroughs, all while paying farmers prices that are set mutually, not by commodities traders. Our model furthers the Greenmarket mission, we help farms scaled for wholesale remain viable by ensuring that all New Yorkers have access to their products. 65% percent of the food we deliver goes to underserved communities, and as we break up pallets and not cases, Gramercy Tavern gets the identical products as the Queensbridge Food Box. The establishment of Greenmarket Co. has allowed our Youthmarket program to expand to 16 sites, and our Fresh Food Box, one the most affordable options for food in the City, now operates in 24 locations. Our team has worked with the City’s Procurement department to discuss innovative ways to structure bids to allow for more regional products. Greenmarket Co. also serves as a capacity builder to other organizations: to date, we have helped more than 40 CBO’s facilitate their own food access and nutrition programming and over the next 2 years, we'll be training additional organizations to operate their own collaborative buying programs. It is our dream to expand our infrastructural capacity and hope to break ground on the Regional Food Hub this season. We’ve been busy growing our programs, and yet the focus of Greenmarket remains and will always be our retail markets. 204 farmers’ businesses rely on those markets for survival, and millions of New Yorkers depend on them weekly to shop for food, meet their neighbors, discover some new ingredient, and to take a break from the monotony of city life. Our markets remain the most dynamic, diverse and robust places to buy food in New York City. Our 40 years demonstrate that we are not a trend; for food has been sold in public spaces for thousands of years. And they are a testament to the farmers that work 20 hour days, 6-7 days every week, travel thousands of miles annually, and are willing to brave the outdoors, in all weather, year after year. And those farmers are at the market, engaging the communities that sustain them and who are raising their children and grandchildren on those farmers’ products. I can’t tell you how many times I’ve stood with Fred Wilklow at Brooklyn Borough Hall and a shopper will stop by and introduce him to their child. Meanwhile Fred knew that parent as a 2 year-old. Our markets are truly centers of community activity. We want everyone to smell and taste their way through; for community groups to set up and let folks know what else is happening in the neighborhood and how they can get involved. And they create economic opportunities for local businesses, including the informal tamale maker that walks through the market or sets up across the street. We’re currently engaged in a 2 year study with Cornell evaluating the economic and social impacts of downstate markets on the rural communities in which participating farms operate. Our markets are places where farmers can test new products or varieties; the ugly food trend now popping up is what we call normal every day produce. Our collective job as farmers and staff is to educate the consumer on what those varieties are, how to prepare them, preserve them, make stock from the bones- I was terrified of celeriac until I tasted then manager Lela Chapman’s cooking demo on the corner of 57th street and 9th Avenue in 2007. The perfect example of the power of our markets is the work of the Greenmarket Regional Grains Project. For years we heard from our farmers and consumers that our baked goods did not showcase regional agriculture and live up to the expectations of Greenmarket. In 2008, led by June Russell, we spent 2 years working with our FCAC and baker community to enact a rule that required all bakers use 15% local flour, and instituted a point system for eligibility, that also required local eggs, sweeteners, fats, flavoring, and incentivized fair trade and other items. Today our bakers average over 40% local grain; but the project has grown into something much larger. Greenmarket staff now operates a bi-weekly grain stand, where we aggregate products from 19 producers, all too small for an individual stand to be economically viable, and we play 4 crucial roles. 1. We educate consumers about heritage and rare grain varieties, thus generating demand for the products; 2. We are creating the efficiencies for these producers and their distributors to access to the New York City marketplace, which we define beyond the borders of our markets; 3 generating crucial income to those grain growers, who know currently they can make more money with an acre of gmo corn that red fife; and in doing so are encouraging more farmers to plant these varieties on their farms, which leads to healthier soils, increased revenue, and more beer and booze for you and me. We are not just some marketplace that moves food; we are a mission driven non-profit that creates viable spaces to support farms and build community. In the last ten years there has been an enormous rise in demand for local products- and we celebrate that and pridefully take some credit for it. We simply want to ensure that the other and new providers also place the grower and the community benefits equally to their own. We’ve witnessed the rise in Faux-cal- fake local; we know that some new delivery companies went out of business leaving the farmers in compromised positions. But it is in all of our collective interests to see the growth of regional agriculture, and we will support any effort that does so responsibly. In this our 40th season we look forward to the opening of Project Farmhouse, our first ever permanent home where we can enhance our educational programming and offer meeting and training space to other nonprofits engaged in sustainability. We will continue to help develop new farmers, support existing ones, and strive to make our markets better every day. What’s amazing is that even after 40 years we still have so much to learn and work to do. On July 16th, 1976, I don’t think Barry and Bob had any idea that the Grains project would exist. But they believed in a concept and laid an incredible foundation that allowed for so much good work to happen and evolve. Read more about Greenmarket Turns 40: What's in store for the next 40 years? Homegrown vegetables, fruits and herbs are more nutritious than store-bought ones—the less time that passes between harvesting produce and eating it, the fewer nutrients lost. Fresher taste better too! The best way to gain control over where your food comes from is to grow it yourself. Growing your own food ensures that your vegetables, fruits and herbs are not exposed to the harmful pesticides or chemical fertilizers that are often used on industrial farms. Growing your food can save you money. Gardens require minimal start-up equipment, and each plant can yield many vegetables and fruits. 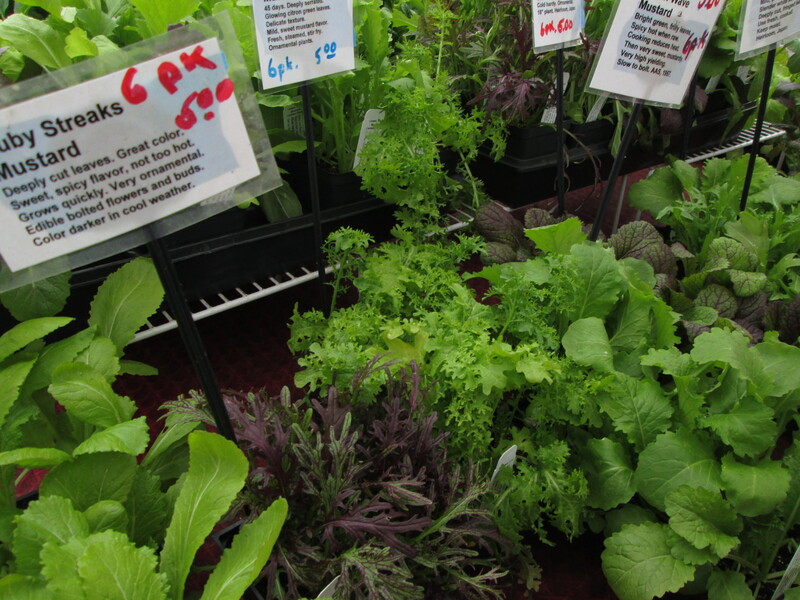 Compared to the cost of the seeds or seedling, vegetable, fruit, and herb plants are a great bargain. A great way to teach children about where food comes from or how it’s grown is to show them firsthand. And, you can incorporate science, math, nutrition, and even history lessons—all while playing in the dirt. Growing food is fun! Watching a seedling transform into an edible plant, nurtured by the sun and your work, is incredibly satisfying. In a time when many of us spend hours in front of a computer every day, the chance to get your hands dirty can be a welcome and fun hobby. 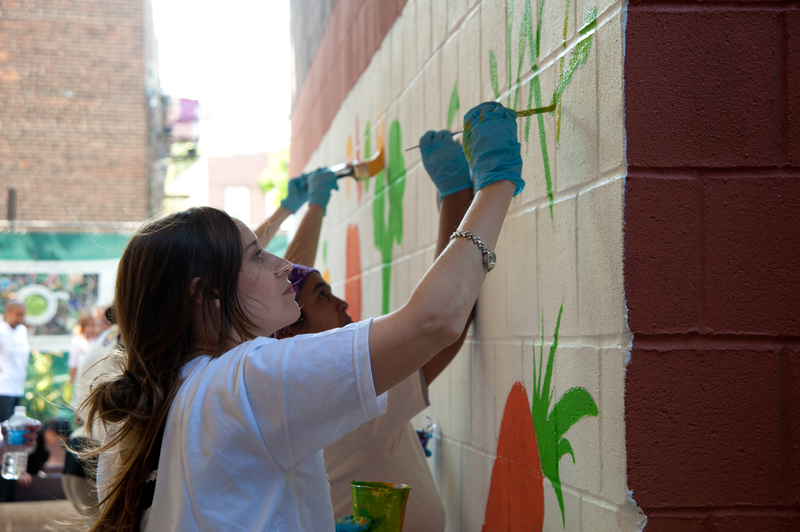 We are looking for artists to channel their inner environmentalist and create a two-dimensional work of art inspired by GrowNYC's work in NYC: think Greenmarkets, gardens, recycling, compost, habitat, ecosystems and more. We'll put your work up for a public vote and present the top ten at our Union Square Greenmarket this May. 3 lucky winners will win prizes! Starting March 21, submit your artwork via the linked form below in the following formats: BMP, JPG, PDF, PNG, PSD, TIF. Files should be no larger than 25 MB. Online submissions only. The submission deadline is 12 midnight on April 18. See Rules Here. *Please note submission does not guarantee entry in the public voting stage of the contest.